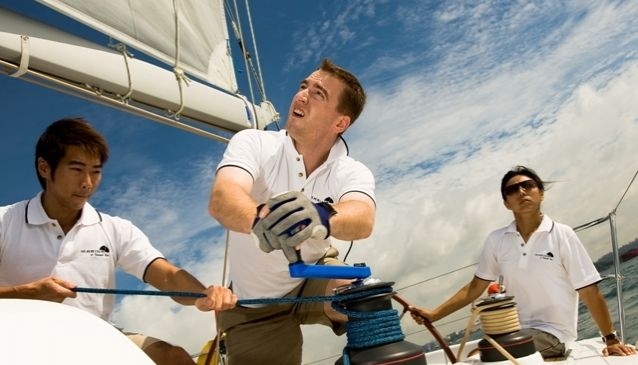 Keppel Bay Sailing Academy (KBSA) is the first sailing academy in Singapore to provide courses accredited by UK-based Royal Yachting Association (RYA, a leading authority for water-based activities. KBSA is also the first accredited training centre for the Clipper Round the World Yacht Race outside of the UK providing Level 1 out of three practical training courses from Singapore. This intensive 5-day course introduces the complete novice sailor to life at sea. This course is mandatory for anyone who aspires to race around the world. KBSA offers yatch charter services. Their professional skippers will take you and your guests for a journey past Singapore's skyline and the Southern Islands. From 2-hour, 4-hour and 8-hour to customised cruises, you'll be sure to enjoy this unforgettable experience.